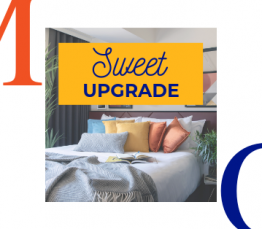 The sweetest of upgrades for every occasion! Enjoy a bottle of prosecco and strawberries in your suite followed by a relaxing night rest in our super king size bed. Whatever the occasion or even if you are jsut in need of a deserved break this offer gives you all the sweet treats that could ever want.